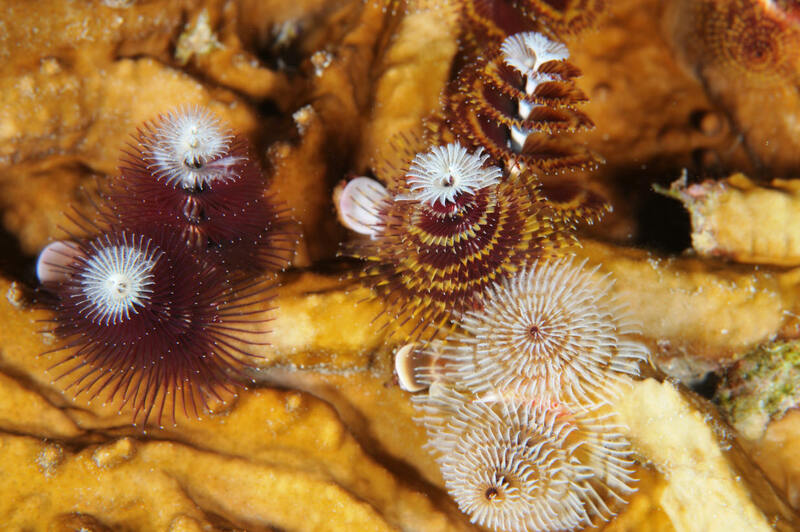 Spirobranchus giganteus, the Christmas Tree Worm, family Serpulidae. 1-1 1/2". 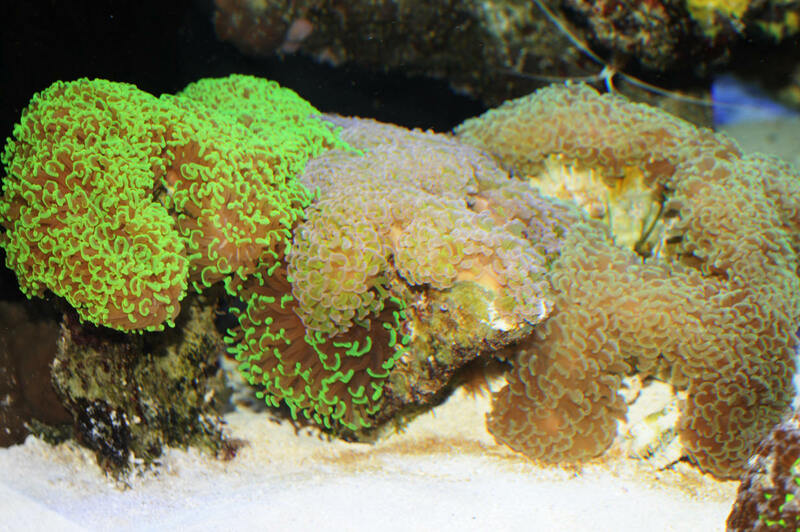 Two spiral crowned groups of radioles with a double horned operculum between them that bears a sharp spine. Tropical West Atlantic, Indo-Pacific. Here off Key Largo, FLA in 09. 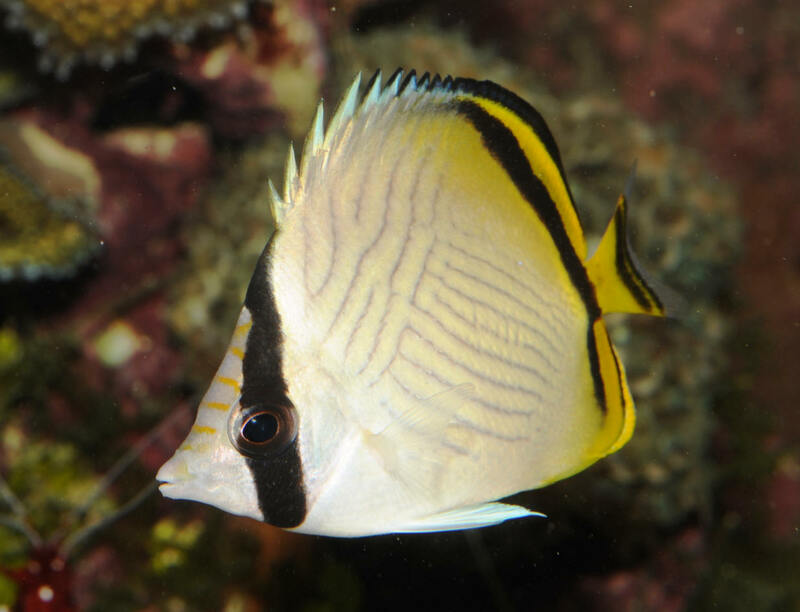 Chaetodon vagabundus Linnaeus 1758, the Vagabond, Crisscross Butterflyfish. 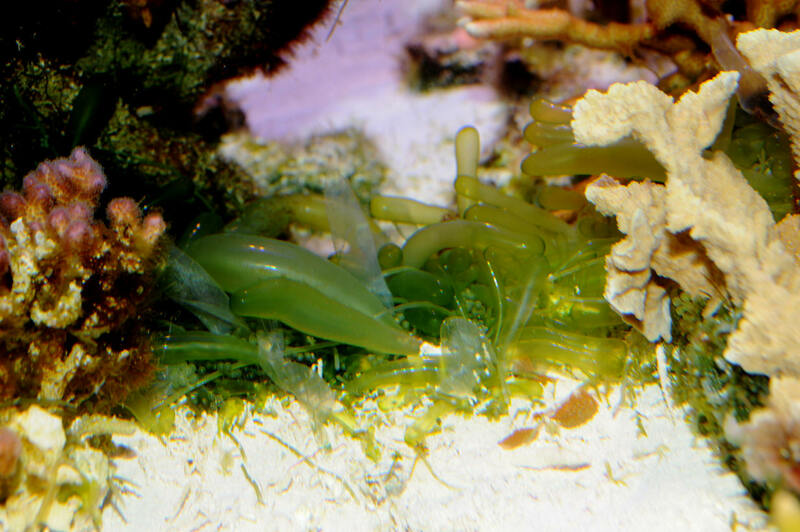 In the wild feeds on anemones, coral polyps, worms and algae. This species does poorly in captivity. A juvenile in captivity. Valonia utricularis Valonia utricularis, Creeping Bubble Algae. Rounded, elongated bubbles arise from a runner.